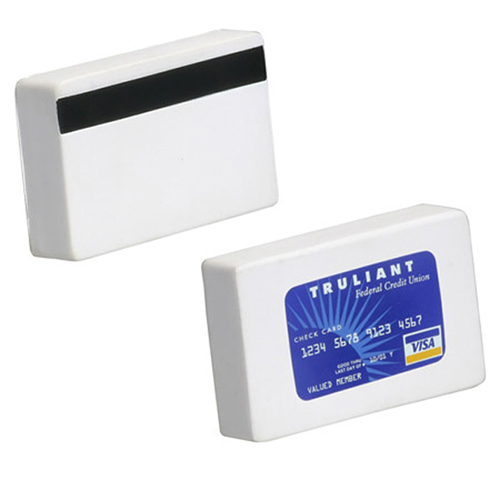 Our generic Credit Card stress ball is ready to be personalized with your message! You can put a custom imprint on a credit card stress reliever and hand them out at shows and special events. These credit card stress balls are great promotions because they are easy to transport and very comfortable to squeeze! Item Size : 3-1/2" x 2-1/8" x 3/4"